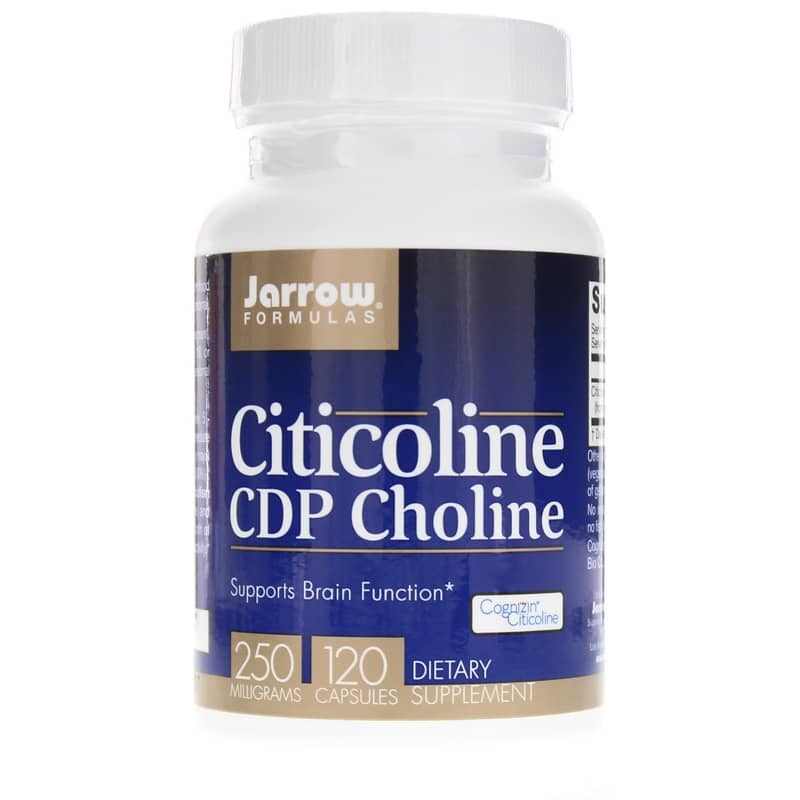 Citicoline CDP Choline from Jarrow Formulas is a dietary supplement that may support a healthy brain, absentmindedness, and memory. The citicoline formula in this supplement may help maintain feelings of wellness and individuality during the many normal stages of life. Citicoline may support the other potentially important functions in a healthy body. Citicoline supports the normal production of phospholipids in the body. This biochemical process occurs in the membranes of cells and may help cells maintain integrity when exposed to free radicals. 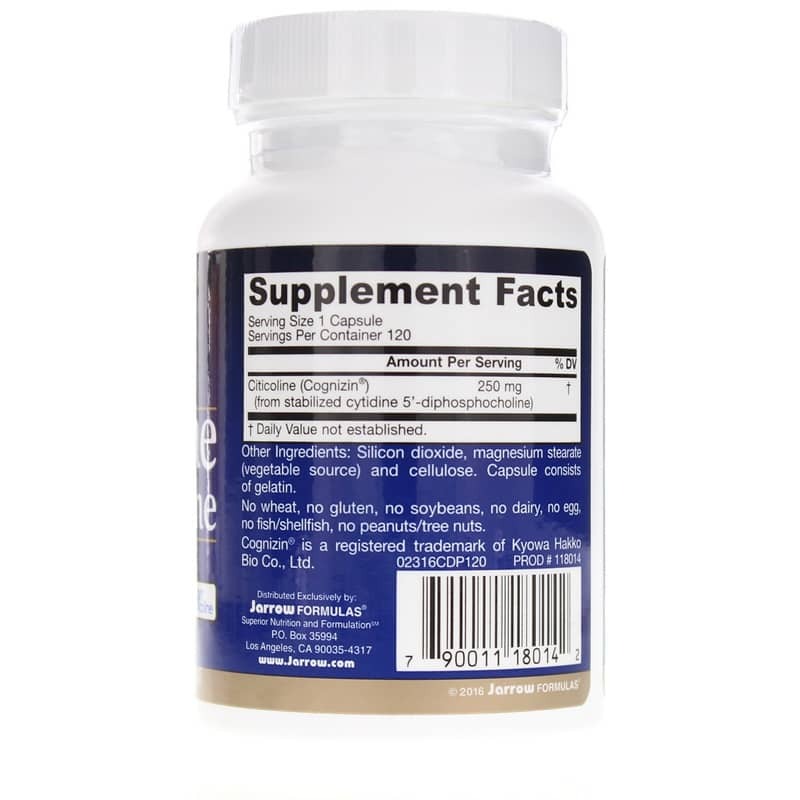 Citicoline is also believed to support healthy dopamine receptors and may help to maintain memory, focus, learning, and cognition during normal aging. Citicoline may provide antioxidant support in a healthy brain and may help to maintain the normal stability of membranes. Additionally, this compound may promote the normal release and movement of hormones between receptors in the brain. It is also believed to help maintain the normal matter in the brain during normal aging, which may promote mental facilties during internal challenges. 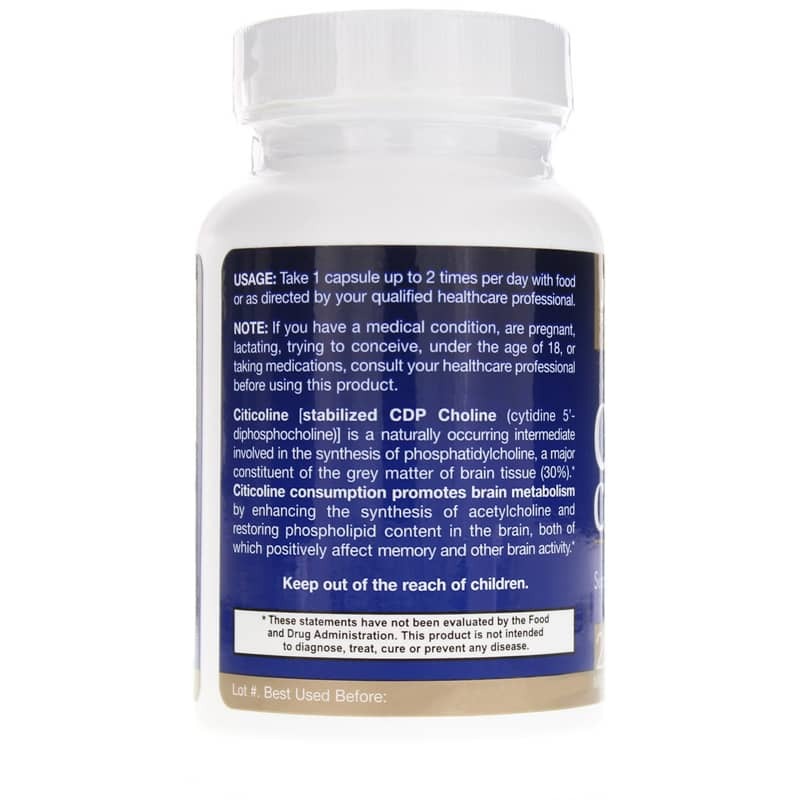 Experience Citicoline CDP Choline and see if it makes a difference in your life. Other Ingredients: Silicon dioxide, magnesium stearate (vegetable source) and cellulose. Capsule consists of gelatin. Adults: Take 1 capsule up to 2 times per day with food or as directed by your qualified healthcare professional. If you have a medical condition, are pregnant, lactating, trying to conceive, or taking medications, consult your healthcare professional before using this product. Keep out of the reach of children.